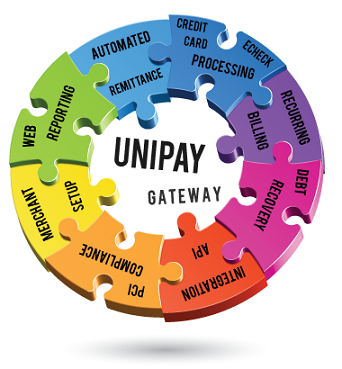 The software behind the UniPay gateway can be the basis for your new payment platform. Because our payment system is built as commercial open source software, it can be adjusted, customized and rebuilt to meet your specific needs. We can handle everything for you – or we can provide the basis from which your team designs the perfect payment system for your organization. Plus, we can help you design high availability architecture for your payment system. Because the UniPay gateway is a complete system in its own right, your payment ecosystem landscaping project has a firm basis. Everything you need for a successful payment gateway is already in place. A range of APIs are available, and many processor integrations have been perfected. From the primary function of transaction processing to merchant onboarding, merchant account provisioning, chargeback management, merchant statement reconciliation and more, UniPay is ready for action. And you can trust the United Thinkers team behind the UniPay gateway for the help you need in customizing every aspect of the product’s functionality to meet your needs and exceed your expectations. The United Thinkers team has years of operational experience with a number of payment gateway services, and we know how to help you create a payment ecosystem that will support your business strategy. We can handle as much or as little of your project as you desire. With us, you’re in charge, but we’re always available to provide the expertise you need. Jumpstart your payment ecosystem landscaping project with the commercial open source software we call UniPay. And move further ahead with our team of payment system experts at your side. Why not contact us now to learn more about how we can work together toward your success? Find out how UniPayGateway can help you create a payment ecosystem that will support your business strategy.